Is Paris Transit Authority Christianophobic? The RATP, the government-owned transit authority in Paris, has been accused of being Christianophobic. 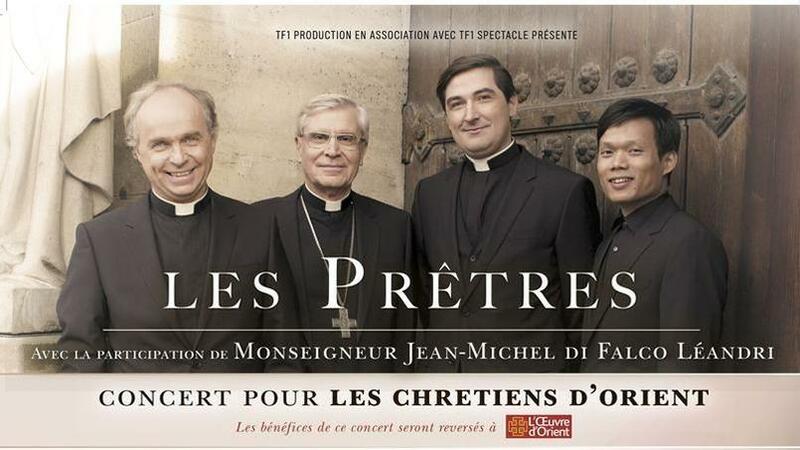 The accusations come from its refusal to put the whole ad of a musical concert with four singing priests, reports Le Figaro. RATP defended itself by saying it was “In the name of the religious neutrality of public authorities.” It refused to let the poster mention that the concert was “Pour les chrétiens d’Orient” (for Eastern Christians), who are being massacred in great numbers by ISIS. It merely allowed, after much public outrage, to let the poster mention that it benefited a nonprofit organization called Oeuvres d’Orient, which will help Christians in the Middle East. Many French politicians, who for the most part stubbornly defend France’s secularism, have denounced RATP’s attitude. Long-time socialist politician Jean-Luc Mélenchon said on his Facebook page that secularity means the state does not support any religion, not that it eliminates religion from everyone’s sight. Finally the Observatoire de la Christianophobie, which takes a census of Christianophobic actions wherever they happen, called out RATP’s hypocrisy. It says the transit authority has no problems putting ads talking about the Ramadan (the Muslim fasting) or letting Muslim nonprofit organization like Secours Islamique France but banners explicitly mentioning their religion. Following intense public pressure, the RATP promised to put the whole ad in subway stations.